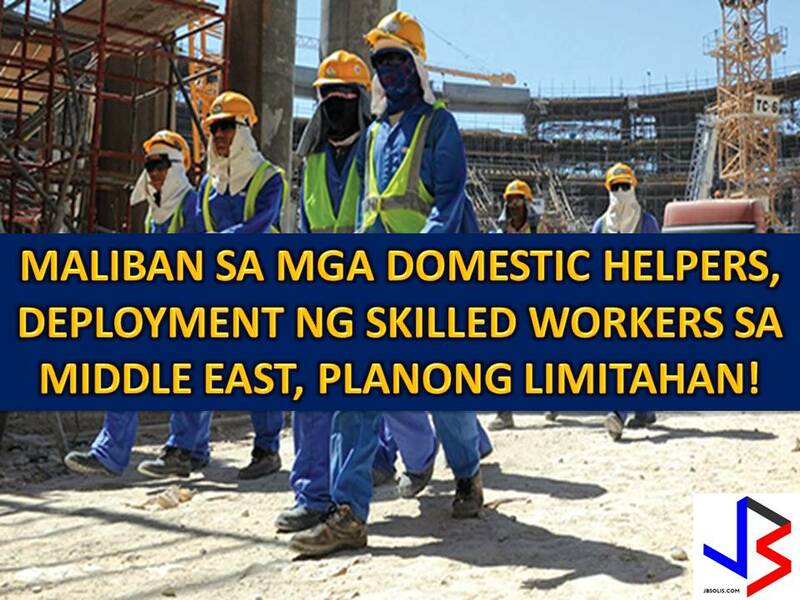 The Department of Labor and Employment (DOLE) is carefully studying the possibility of limiting the numbers of Overseas Filipino Workers (OFW) being deployed in the Middle East. 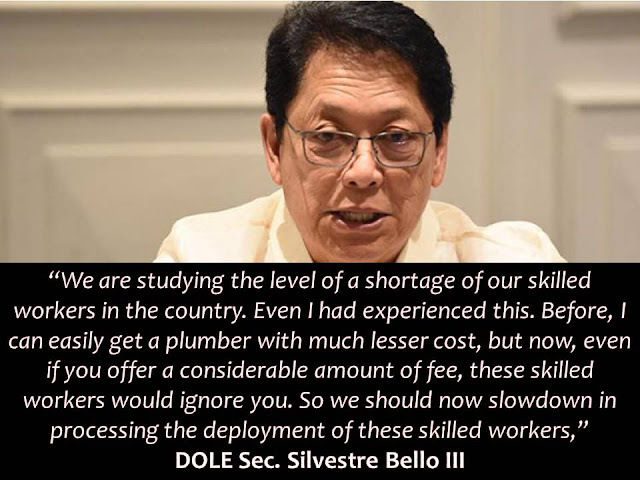 In a media forum, DOLE Secretary Silvestre Bello III said, the possible limitation will not only cover the domestic helpers but also with the skilled workers. Last February, Bello warns that DOLE will suspend the deployment of domestic workers in Middle East if another worker will get executed. 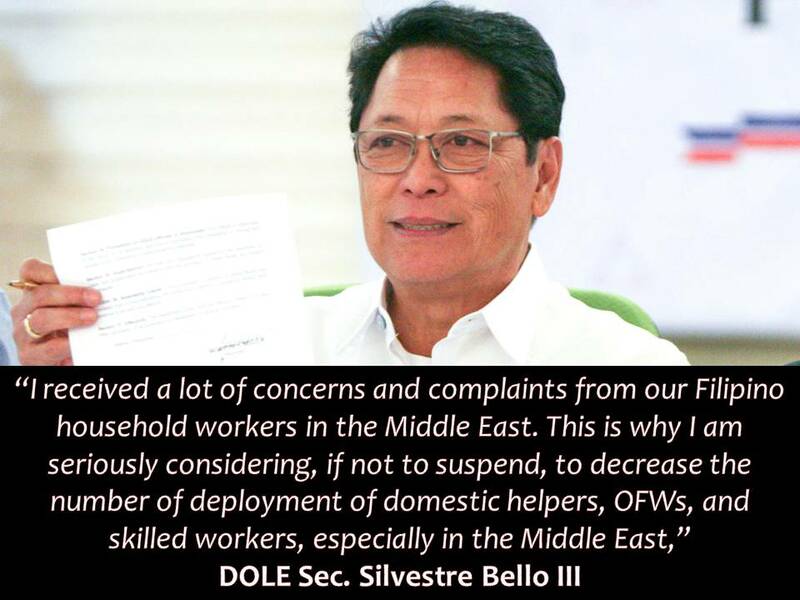 Bello said OFWs in the Middle East remains vulnerable to abuse by their employers. Aside from the abuse and maltreatment of OFWs, another reason for the plan to limit the deployment is the shortage of skilled workers such as carpenters, electricians, and plumber in the country. 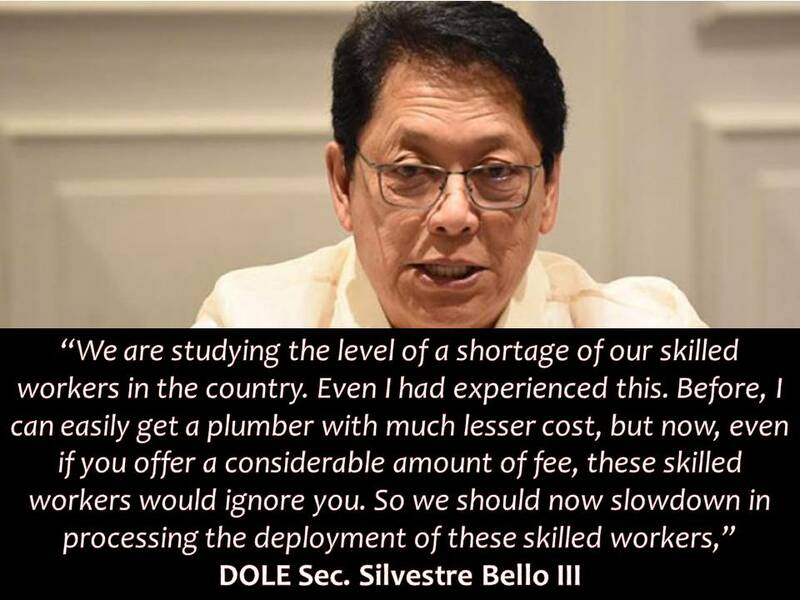 The Labor Chief added that in order to solve the scarcity of the skilled workers in the Philippines, DOLE is fast-tracking the training of the skilled workers. The goal is to give them enough experience to get better jobs and position in the country. Currently, there are many skilled workers go abroad because of high salary and better benefits.